Sister Mary T. Clark’s memorial celebration took place in the O’Byrne Chapel on Sunday, October 26th. Over a hundred community members, including faculty, staff, alumni and students, came together to celebrate her legacy at Manhattanville and lifelong devotion to philosophy and education. The Mass began with heartfelt speeches from Sr. Clark’s niece, Regina McGranery, and Joan Magnetti RSCJ ’65. McGranery fondly remembered of her aunt’s relentless dedication to teaching and the fact that she almost never missed a class at Manhattanville. McGranery’s sentiments were echoed in the closing remarks from Don Callahan ’78, Chairman of the Board of Trustees and one of Sister Clark’s many former students. Callahan recalled how she motivated him to run for Student Government and even helped him get his first internship. 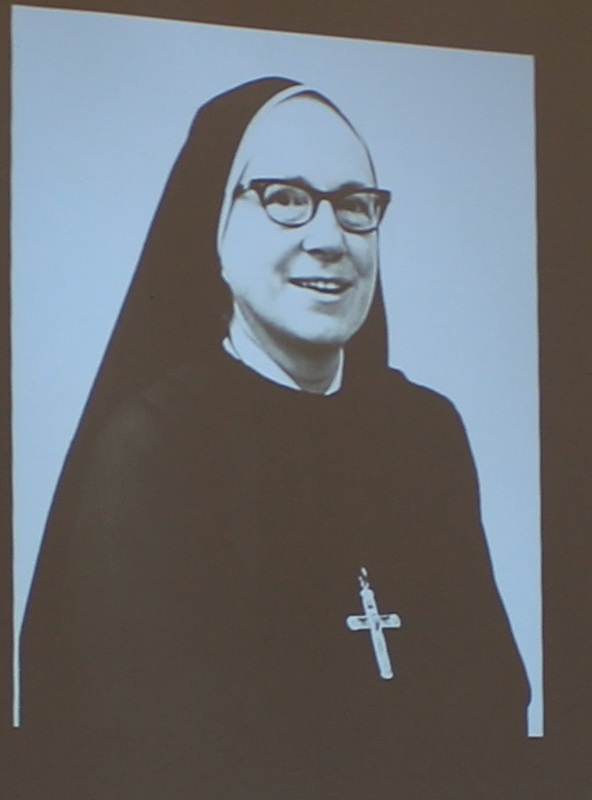 Sister Clark had a truly remarkable career at Manhattanville. Graduating from the College in 1939, she went on to teach at her alma mater for 40 years and served as the chair of the Philosophy department for 12 years. In her honor, as established by the Class of 1957, the position is now named the “Mary T. Clark Chair of Christian Philosophy.” Throughout the Mass, Clark’s former students Sylvia Quarles Simmons ’57 and Susan Crosby ’84 read meaningful excerpts in commemoration. The Mass was followed by a reception where friends of Sister Clark continued to share their cherished memories of the beloved professor. Although she is sadly no longer with us, Sister Clark’s legacy will undoubtedly be carried on through the generations of Manhattanville graduates she has taught and all those she touched over her lifetime. Siobhan Nash-Marshall, Mary T. Clark Chair of Christian Philosophy, Professor/Chairperson, Philosophy Dept. The Quintessentials, led by Mark Cherry, Music Dept.